College View Nursing Home is a non-institutional facility where we care for the mobile and dependant clients both confused and mentally orientated in quality surroundings which enhance and maximise their quality of life. College View is designed as a single storey unit which is divided into smaller areas within, where clients can be cared for with dignity and respect and be allowed to form their own smaller community groups within the home with all necessary equipment and staff to make it a relaxed and caring environment. We aim to provide the highest standard of quality care and treat each client as an individual respecting their wishes and aspirations for their care. College View was purpose built on a Greenfield site and opened in February 2000 with 55 beds; due to demand for this quality service this was extended to 70 beds in February 2006. College View is registered with the Health Board. 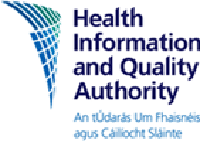 The Registered Provider is Thérése McGarvey and the Registered Home Manager/ Person in charge is Mrs Martina Jameson and indeed is blessed with having many of the same staff since opening in February 2000. The quality of care in College View is of the highest standard and we guard our reputation well by employing only quality staff and ensuring that we review standards regularly to ensure that the needs of our clients are being met in the best way. College View is a single storey building with 64 single rooms and 3 double rooms with en-suite facilities throughout. 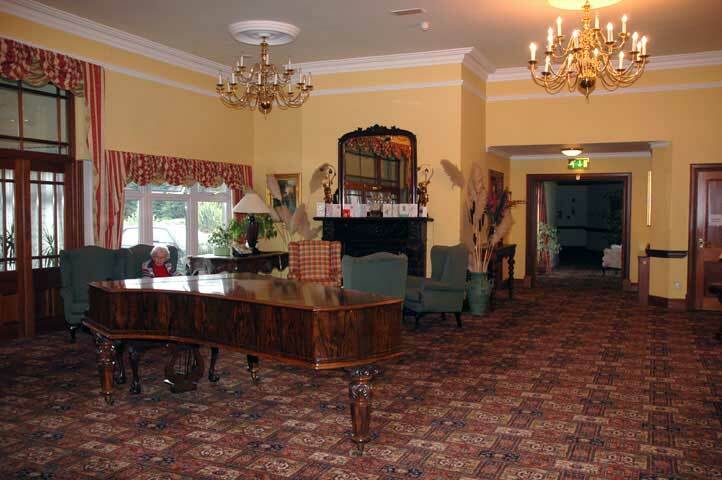 The nursing home is built in separate units and all facilities such a sitting rooms and leisure space are available within each area as well as communal facilities such as the prayer room, and the front foyer which is very spacious and welcoming for visitors and residents to use. The bedrooms in College View are large and generous with en-suites available. The most up to date and modern equipment and amenities are available to ensure this is a comfortable and safe environment in which our residents can reside. 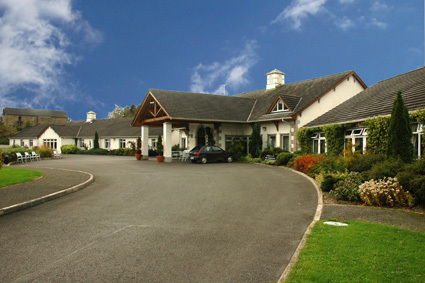 College View Nursing Home is located in beautifully landscaped gardens on an elevated site within the Cavan town opposite St Patrick’s College on the Clones Road. The town can be accessed by wide footpaths which have been extended to meet the drive into the nursing home and indeed this makes for a pleasant outing to town if weather permits. The extensively lit gardens extend to over an acre and include raised flower beds extensive lawns and secluded sun and patio areas for those residents who like to sit outside. A herb garden is overlooked from the dining room and the views over the countryside are beautiful from all areas of the home. A special care unit has been set aside for those persons with a mental health disorder e.g. Alzheimer’s which affects the client’s ability to determine risk and protect themselves. These vulnerable adults are cared for in a self contained unit of 9 single rooms and 1 double (all en-suite) a separate dining room and sitting room and enclosed garden. This type of unit allows the clients the freedom of movement they require without allowing them to wander from the nursing home. The Alzheimer’s unit is attached to the main building and accessed via coded doors to prevent the patients wandering away from the home unaccompanied. Within College View there are security cameras which will observe the perimeter of the building and increase the security for these vulnerable patients. Staff are assigned specifically to this unit and are aware of the importance of security and also the need for activities which prevent patients from getting bored and therefore reduce agitation. College View provides quality care for patients with a myriad of conditions which are reviewed and assessed by the multidisciplinary team and visits and assessments of clients is ongoing as we strive to ensure their needs are met. The Manager is ably supported by Qualified Nurses at all times and care attendants whose interest in care of the elderly has a proven track record. Ongoing staff training is prioritised and identified with relevance to the clients we wish to care for. 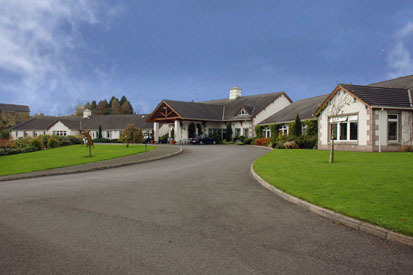 Possible admissions to College View Nursing Home may come on a private capacity or via referral from the Bed Managers within the hospitals or GP’s. It is expected that all admissions have been assessed by the Home Manager prior to their admission to College View. The method of assessment may be through discussion with members of the family or the multi-disciplinary team or indeed visitation by the Home Manager prior to their acceptance to the Nursing Home. It is suggested where possible the Nursing Home be viewed by the patient or their designated next of kin before any admission is confirmed. This visit can be used to gain relevant information and an insight into the home prior to admission. A contract of care will be established once the client has been accepted into the Nursing Home. While at College View we make every effort to ensure that you receive a quality service we accept that there may be occasion when you wish to make a complaint. The Complaints Policy is clearly available in all the bedrooms and clients and family are encouraged to quickly report any issues of concern so that these may be addressed and resolved as quickly as possible. If you wish to view College View Nursing Home or make an informal enquiry please contacts the Home Manager Mrs Martina Jameson or the Home Administrators during normal office hours to arrange this.